I just love the quirkiness of a Leap Year wedding, don’t you? 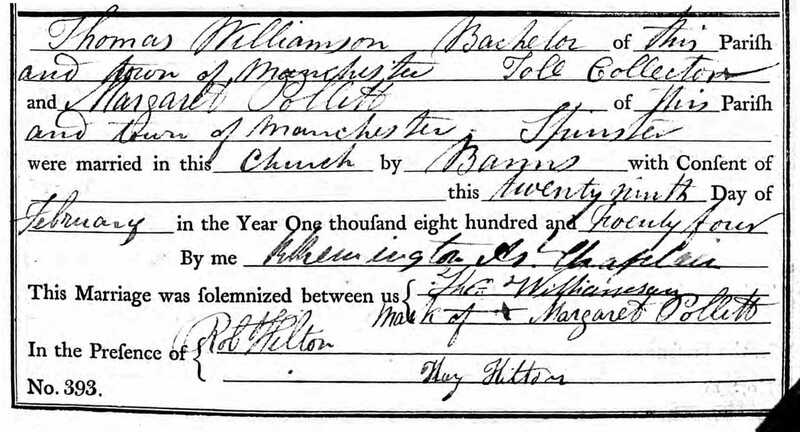 One hundred and ninety years ago, my 3rd great grandparents were married on 29 February 1824 at the Manchester Cathedral in Manchester, England. This post was last updated/edited on 14 March 2014. If you have questions about or corrections to anything posted here, please post a comment or contact me using the form on my Contact Me page. Source Information: Ancestry.com. Manchester, England, Marriages and Banns, 1754-1930 (Cathedral) [database on-line]. Provo, UT: Ancestry.com Operations, Inc., 2013. ImageNo: 1824 [accessed 01 Mar 2014]. Manchester Cathedral exterior photo by Richard Rogerson. Licensed for use under the Creative Commons Attribution-Share Alike 2.0 Generic license. Manchester Cathedral interior photo by Michael D Beckwith. Licensed for use under the Creative Commons Attribution 3.0 Unported license. Manchester Cathedral aerial view in public domain with no copyright restrictions. Erin Williamson Klein, “52 Ancestors #5 A Leap Year Wedding (Thomas Williamson and Margaret Pollitt).” My Family History Files, 1 March 2014 (http://myfamilyhistoryfiles.com/williamson/52-ancestors-5-a-leap-year-wedding/: [access date]). Stopping by to welcome you on board the A to Z Challenge April 2014. Look forward to your challenge posts! I already think your blog fascinating because it is about genealogy, which I have spent a bit of time researching myself, but not to the extent you have. 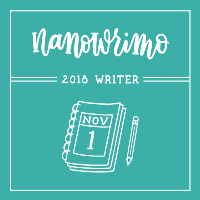 I followed your blog, and will look forward to what you post during the A to Z Challenge. The marriage certificate is an incredible find as well. The pictures you have added showing the places your ancestors have been add visual interest to your story, and I am sure might help others that are looking for a common ancestor. I love how with the Internet today we can find distant relatives, which I did a few years back when I found someone I have a common ancestor with. Thank you, Julia for your kind words about my family history blog. Research has greatly improved over the years with the availability of records online. And yes it is great to connect to distant relatives. I’m doing this mostly for my children so they can have a better sense of themselves through the stories of their ancestors.